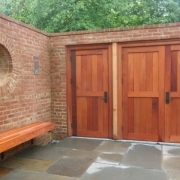 Lithic Construction is a custom builder, green builder and general contractor specializing in custom design, carpentry, stone masonry, painting, site work, and green construction in Charlottesville, VA and Central Virginia. 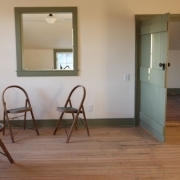 From award-winning historic restoration to the construction of new, ecologically-sustainable, healthy homes, we are committed to tightly-managed projects. As a custom home builder, Lithic's diverse portfolio ranges from rustic hut to contemporary remodel to the full craftsman house with stonescapes and outdoor rooms. We use best-building practices, including passive and active solar, rainwater collection, bio-based insulation, and sustainably-harvested Virginia hardwoods, to name a few. Consultation and design services are available.